A product of the Everton youth system, and later Oldham Athletic, Joe signed up as an U18 at Rochdale in June 2016 where he remained for a year, most playing for the U19 side. In August 2017, he signed his professional form with United, signing a two year deal. Joe was born on this date in Cheshire, England. 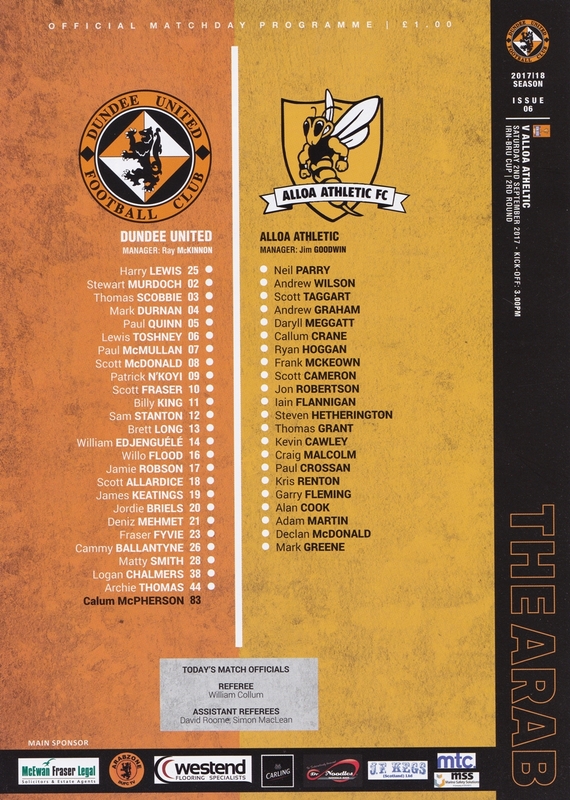 Two goals in stoppage time saw Dundee United progress into the last 16 of the Irn Bru Cup with a lacklustre 3-1 win over Alloa Athletic.